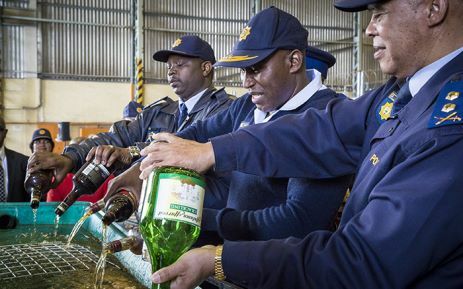 Western Cape Liquor Act - In a demonstration of an intention similar to that displayed over the weekend by their Mpumalanga counterparts, Western Cape police destroyed 10 000 litres of liquor on 5 October. The liquor had been confiscated over the past few months from illegal liquor outlets. The value of the confiscated liquor allegedly amounts to hundreds of thousands of rands. Police vowed to raise the level of enforcing compliance to the Western Cape Liquor Act and other liquor related legislation during the next few months.